I'm finding that there is something about fireworks photos that people really enjoy. In fact, sometimes I feel guilty that people make a big fuss over something I didn't think was that hard to shoot. Such is the case with these three photos. The twin cities of Pierre and Fort Pierre, South Dakota are separated by the Missouri River. 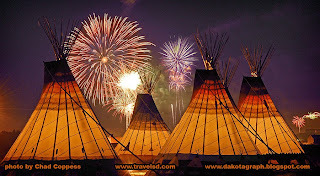 Both cities have fireworks displays throughout the year for various celebrations. There are many interesting spots to shoot the fireworks from. 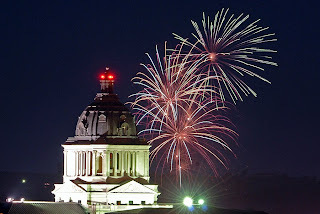 Here is South Dakota's state capitol building with fireworks earlier this year for Pierre's 125th anniversary celebration. I took this from near the high school and city library. With a little adjusting I found the right spot where the bursts were where I wanted them in relation to the dome. The mayor and other city officials have plans to hang prints of this in their offices. Fort Pierre goes all out for July 4. You see, the City of Pierre only allows fireworks that stay on the ground, but Fort Pierre allows pretty much anything. Therefore, the little cowtown of Fort Pierre looks like Armageddon is happening each Independence Day. 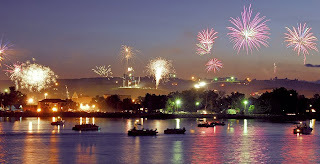 I took this picture in 2007 from LaFramboise Island and believe it or not, all of the fireworks you are looking at are just private people's stuff. The big city fireworks were later and all fired from one place, not spread out across the riverfront like this. Funny thing about the picture above - so many people liked it that it began to spread all over the internet without attribution of where it came from. 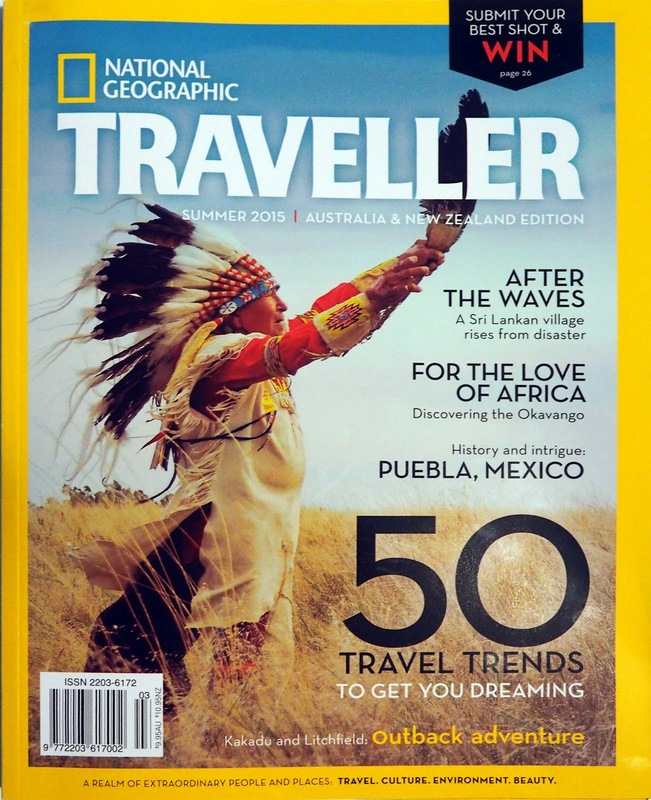 The best compliment I got was from someone in Washington, DC who sent it to the South Dakota Tourism office and suggested that we should track down the photographer and see if we could buy it from them.